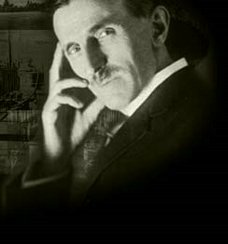 With David Bowie playing the support role of Nikola Tesla in Christopher Nolan's upcoming film The Prestige, I thought I'd research a little about the life of Tesla. Born precisely at midnight (July 9th/10th 1856) during an electrical storm to a Serbian family in a region of the Austrian Empire (today, Croatia). His father was a priest in the Serbian Orthodox church (his mother the daughter of a Serbian Orthodox priest. After graduating from Austrian Polytechnic, Tesla moved to Budapest to work for a telegraph company at later engineer of the company's first telephone system. Tesla arrived in the United States and worked for Thomas Edison's company Edison Machine Works. Edison apparently offered Tesla $50,000 dollars to make certain motor improvements. When Tesla asked for the money Edison is reported to have said "Tesla, you don't understand our American humor," and Tesla was offered a raise of $25 a week. Tesla refused the raise and resigned. Tesla started his own company and worked in New York for over ten years before moving to Colorado Springs in 1899 where he'd have room for high voltage equipment. There he told reporters pon his arrival he told reporters he was conducting expiraments sending wireless telegraphs from Colorado Springs to Paris. He left Colorado Springs in 1900 to pay debts and moved back to New York. Tesla did many expirements such as figuring out how to photograph the bones in his hands with x-rays and many other complicated things, but alternating current electric power (AC) is credited to Tesla. Tesla was also later credited with inventing the radio. In 1915 Tesla and Edison were up for the Nobel prize but both tried desperatly to minimize the work of the other, and both refused to share it or except it if the other one received it first. 1916 Tesla filed for bankrupcy because his back taxes were so large. 1931 on his 75th Birthday Tesla was on the cover of Time Magazie. Tesla died a of heart failure as a poor man sometime between January 5 and January 8th at the New Yorker Hotel. The same year he died the US supreme court upheld Tesla patent and made his the official "inventor of the radio." J. Edgar Hoover and the FBI took possession of all Tesla's unpublished work and papers and made them top secret because it was believed he was working on a teleforce weapon (or Death Ray). Although an American citizen, much of his work was gained back by the Serbian embassy. Great post, RC. I've long admired Tesla. In fact, I just got a new CD by The Handsome Family and they have a sad song called "Tesla's Hotel Room." Check it out. 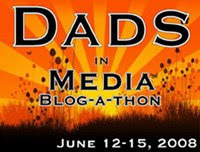 I signed up for the 9-11 blog post tribute awhile ago. I hope he is able to get enough people. If not, we will still honor the person we were given and remember the others who were lost on that horrible day. Tesla, man that guys was smart. Working in the feild that I do I have also been a long time admirer. So many of the things he inveited were never used. At one time he was working on wireless electricity. How cool is that? awg, i've never heard that song before...sounds interesting...i'd like to hear it. 2complx, After my post I read up a little more on him and I saw this thing in Merriam-Webster biographical dictionary that said he lit 200 lamps from 25 miles away using wireless electricity...it blows my mind. jamie dawn, i agree ppl. still need to honor the person that they get...i've actually been thinking about the person's name and information i found that was sent to me and already have some ideas of what I want to do on my blog for him. The history of science is fascinating isn't it? It is too easy to take scientific progress for granted in my view...in fact it was hard won. Thanks for the information on Tesla. I didn't know Bowie was going to play Tesla. I learned something. Thanks! Hmmm. This looks really interesting. I loved his "Great Radio Controversy" album too. What do you know about "Little Miss Sunshine?" From first glance, it seems like it might be funny. I heard all about him on the late night talk radio program, "Coast To Coast" with George Noory. They said a lot of life was formed after he accidentally caused a horse riding accident that maimed his older brother and eventually killed him. Like most great ingenuous minds, he wasn't truly appreciated until after his death.